London, UK, 25 September 2018: Blackbox and GoMedia are today announcing a partnership to develop a range of passenger Information services for the UK rail industry. Utilising the latest technology, these services will help make the promise of a connected journey a reality. Blackbox and GoMedia share a vision to take highly relevant information about the actual journey the passenger is on and deliver it to them seamlessly. In a connected world this kind of high quality, up-to-date information has come to be expected by consumers. messages for a reliable snapshot of the current journey, or their own mobile device for more detailed information or to explore onward travel options by train, bus, taxi and more. The first service will launch on a major UK train line in Q1 2019. Matt Seaman, CEO at GoMedia explains: “This partnership is a natural evolution for GoMedia. We’ve been offering high quality video content to rail passengers for three years and now we can give them the reassurance and control that comes with easy-to-access travel information which is both relevant and accurate. 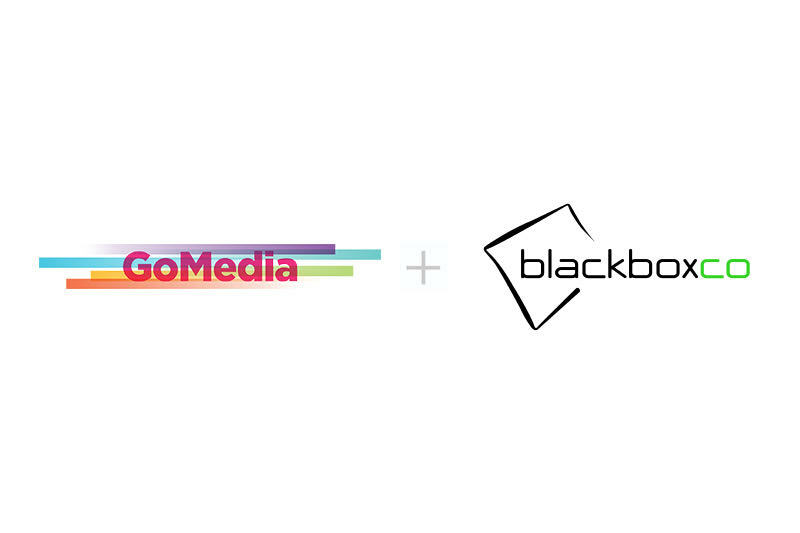 As well as the new partnership with Blackbox, GoMedia provides rail customers with films, TV shows, news and magazines via passenger’s own devices, utilising the rail operators complimentary Wi-Fi. Its customers include Virgin Trains, Eurostar, National Express coaches, FirstGroup, c2c Rail and Abellio. Since starting in 2014, Blackbox has built its reputation as the most innovative provider of customer information systems in the UK rail market. Now working with almost all rail operator owning groups, its cloud based platform enables operators to update passenger information more quickly and more easily than ever before. entertainment, information and advertising content that is hosted onboard and delivered to passengers’ own mobile devices. entertainment from NOW TV and HayU, popular box sets and original series, games, digital newspapers and magazines. For more information, visit www.gomedia.io. Blackbox is the leading provider of cloud-based customer information systems in the UK rail market. Providing end-to-end systems, from the rail operator’s control room to information screens on platforms and trains, Blackbox’s Control Tower platform stitches together the myriad systems that keep our trains running. Using its design-led approach, Blackbox focuses on ease-of-use and reducing workload so operators can put all their attention on keeping passengers informed with real-time information.